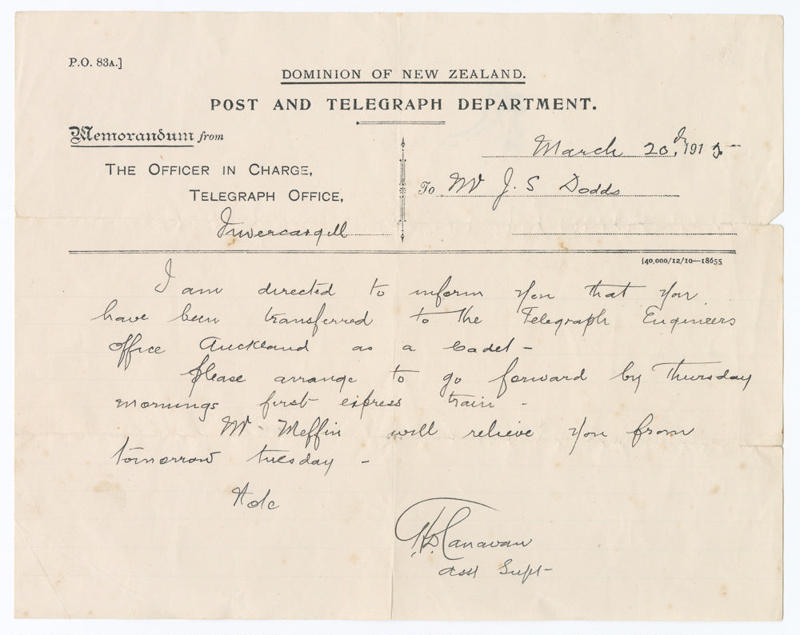 This is a telegram sent to Invercargill Telegraph Office Junior Exchange Clerk J.S. Dodds informing him of his promotion to Cadet and transfer to the Telegraph Engineers Office, Auckland. 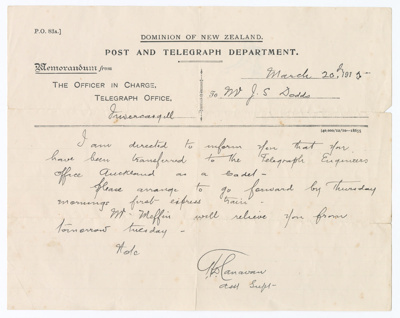 The telegram is dated March 20th, 1916 and is an example of the sorts of telegrams which were received at Awarua and other telegraph offices.